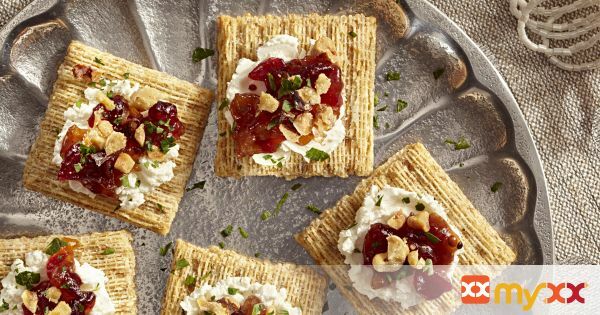 These are great for a snack or to serve at your next party or holiday gathering. 1. Spread crackers with cheese. Top with remaining ingredients. 2. **Tips** Substitute Prepare using your favorite flavor of chutney.